Anne: Any uk based vpn account will work. Check the Top providers list.. Simplest method is to get a ddwrt flashed second router. I have been utterly unable to get StrongVPN to work with a high-end Lancom router. In principle the router (Lancom 1741EF, firmware 8.60RC2) is supposed to support VPN of specified routes, including encrypted negotiation of VPN setup. In practice, however, nothing works. The support team at StrongVPN is singularly unhelpful and refuses to advice about any other router than WRT-DDR. If anybody can help me, that would obviously be highly appreciated! As a follow up, I attempted to contact VPN with additional problems and their website and email were both disabled. I had reason to believe that they had disappeared from cyberspace and I (fearfully) filed a complaint with paypal.com for my purchase. 2 days later, the website was back up and I received an abusive email from VPN.vn saying that I was a scammer!! Unbelievable!! I spent $85 dollars for 3 month access that NEVER WORKED!! 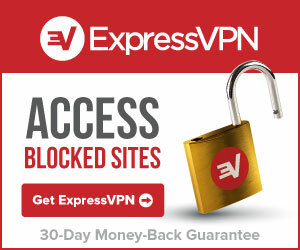 I purchased service from another VPN provider (strongVPN.com) and their service works great! VPN.vn requested remote access into my laptop 3 or 4 different times to help me “resolve” my connectivity problem and it NEVER was resolved. I warn you against VPN.vn!! Buyer beware!! There is a strong possibility that this company is fraudulent. Additionally, I am getting the EXACT same service (unlimited access) for 3 months for only $35 dollars! How did I get caught up with spending $85 dollars for 3 months? At this point, I have no financial recourse. The only thing I can do is warn others about this company. BUYER BEWARE!!! I have been using VPN.vn for over 1 month. Their customer service is really good and their connection is TERRIBLE. terrible, terrible, terrible. About every 2-4 days, I have to write to the customer service complaining that my connection doesn’t work. They respond more or less quickly within a few hours, but I go several hours at a time without service. They say that other customers don’t have problems and almost treat me like it’s my fault that my service isn’t working. My internet connect varies in strength and sometimes lags. I am in Italy. But each time this happens, I get dropped from the VPN connection and it refuses to allow me to sign on again. After one month of this problem, we went back and forth in emails (them telling me that i’m online and me telling them that i’m not). finally, we’ve concluded that when i get bumped off for one reason or another, the system won’t allow me to log back on and it still shows me as online and therefore won’t let me sign back on, so every couple days, sometimes several times per day, I have to ask that the connection is reset. At this moment, I’ve been waiting over 2 hours to be reconnected. 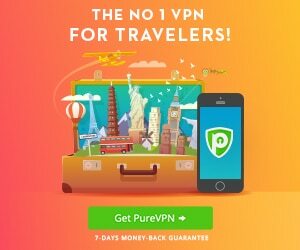 VPN.vn is NOT WORTH THE MONEY!! It’s extremely annoying to deal with this every f-ing week. I prepaid for 3 months, so I’m stuck. The return policy is only for the first couple days. How could I know that I would have this horrible service? So… I’m just stuck paying for it. Buyer beware!! HI Hamed, i know for sure that vpnaccounts.com allows users from Iran, so check them. Emaiil them for special prices. Thanks for your website and info. Do you have any suggestion for Iran? I doubt if you have gone there or not! but its censorship is getting even worse than China. From your personal experience, What is the best, reasonably priced, easy to use, blazing fast and unlimited VPN to get? I live in Saudi Arabia and every GD thing is blocked here and I need something so bad and ASAP.